This is our first instalment for 2019 of the #GETTOKNOW series which invites you to learn a little more about one of the bands playing at the festival this year. Follow the series for lots of different ways to explore the programme and discover some of the best music you haven’t heard yet. 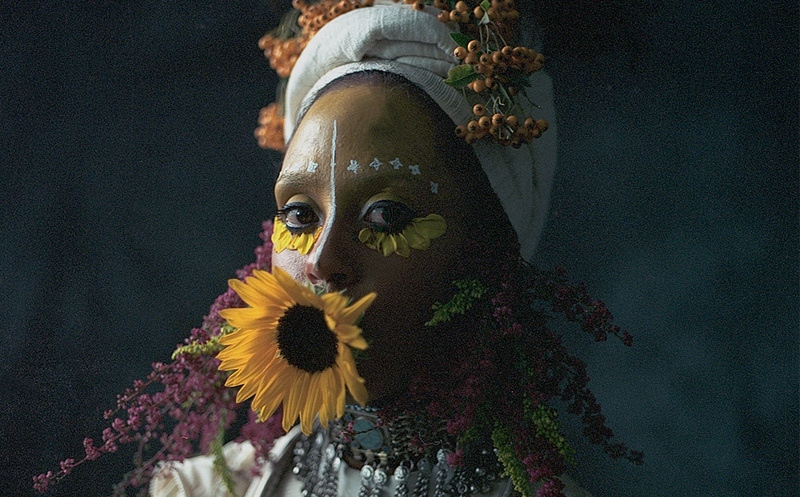 In 2016, Hejira’s lead vocalist, Rahel Debebe-Dessaligne, invited her band to Addis Ababa, Ethiopia. Rahel was in the country already; trying to better understand her family’s cultural history after the death of her father. Together in the Ethiopian capital, the band recorded a few new songs, informed and inspired by that musical heritage. This was a pivotal step for a band whose music was already incredibly eclectic. So, what does the end product sound like? In Ethiopia, Hejira zeroed in on Ethio-Jazz, the hybrid genre that made Addis Ababa a hotbed of music innovation in the 1960s and 70s. Defined by now legendary artists such as Mulatu Astatke, the form took American jazz and swing structures and grafted them into more traditional Ethiopian soundscapes. As a result, Hejira’s February 2019 LP, Thread of Gold, is a heady mix of genre, with clear nods to these influences, alongside other debts to British alt and soul. The lead single, ‘Maintain a Joyful Mind’, channels Lianne La Havas in instrumentation and verse, but moves into Ethio-Jazz territory in its uplifting call-and-response chorus. Later tracks, such as ‘A Taxi Man,’ include field recordings from the band’s visit to Ethiopia – which add flavour to the more intimate moments in the collection. Considering that Hejira’s formative visit to Ethiopia was inspired by loss, there is a sense of bereavement and melancholy in much of their recent work. However, there is optimism and exuberance in the band’s creative vision in equal measure. In a sense, this sentiment is mirrored in their source material too. Today, Ethio-Jazz is enjoying a renaissance, after the turbulence and upheaval of a military junta in the late 20th century. With the periodic release of golden years material on the Ethiopiques record series, there is a tangible sense of commemoration of loss bound up with the joy of rediscovery. Hejira’s recent music enacts this remembering – with poignant and exhilarating results. Make sure you don’t miss their special performance at WOMAD this year.